The Generation III Wind jacket is designed to act as a low volume shell layer that optimizes the moisture wicking properties of other Generation III insulative and next-to-skin layers. It is also designed to be worn under body armor. It is constructed from stretchable nylon with a water resistant finish, and is a full zippered jacket that provides wind and sand protection with low weight and bulk. Glenn's Army Surplus, Inc brings the lowest price anywhere from a respected, licensed US government surplus dealer! 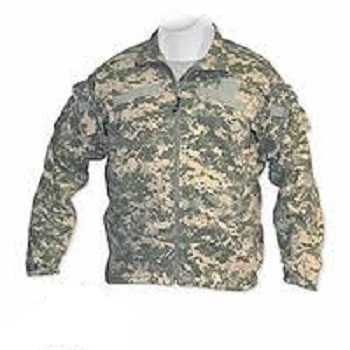 All items are brand new and US Army issued with NSN and contract numbers on all tags. While supplies last each jacket is $62.95.